UK Radio Scanning Forum • View topic - 458.8000 Nottingham Midlands ?? but voices, traffic sounds in the background..
now 458.800 is UK general right ?? ok so today it comes on again 8.50am full signal. so i went out mobile (had to go out) on my own estate heard it with no antenna, no CTCSS no DCS hits either. but i was hearing it over a couple of miles two on a handy..
only thing i noticed was in the air was the local radio traffic watch thing that does updates to the radio stations. i'll listen again later nearer the going home traffic times and see if it is the new media helicopter thing..
other than that i don't have a clue..
Re: 458.8000 Nottingham Midlands ?? just using the SDR found some more on 458.500... voices and similar noises..!!! Also a carrier on 458.700 with a lot of crackles ??? and signal is a dirty as hell... 60+ on SDR and splattering like crap..
OK 458.700 is still there no voices, just crackles like a bad connection. 500 and 800 have been on and off, voices, road noise all sorts of stuff..
the signal was end stop, Baofeng no antenna signal. i was thinking helicopter new media road watch, but two of them ? so now i'm thinking police mobile camera van ?? or something which has audio like a camera mic combo being moved from location to location..
i was thinking again helicopter ?? any way it's wrecking my head but they've gone now so i'll wait till later and get the DFing gear out and hopefully find what they are..
i might even try to find this 700 one first seeing as it's just on.. If you are using a dongle the correct freq could be anything. Dongles often do not ident the freq correctly which is evidenced by the numerous dodgy logs that now appear. bigpimp347 wrote: now 458.800 is UK general right ?? bigpimp347 wrote: so i went out mobile (had to go out) on my own estate heard it with no antenna, no CTCSS no DCS hits either. but i was hearing it over a couple of miles two on a handy. This sounds like a birdie (internally generated signal in scanners)? The only times I have noticed a scanner have a full signal on a frequency with no antenna and at various locations is when it has been a birdie. Check the manual for your handy scanner and it may even list it as a birdie frequency. bigpimp347 wrote: just using the SDR found some more on 458.500... voices and similar noises..!!! I agree with Neil57uk. SDR shows a lot of false positives, mirrors and other interference. ok first these are genuine used frequencies, have you tried listening for them ?? 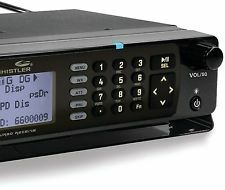 i've been around scanners and receivers for years i remember listening to the old bill on 131mhz due to the way the scanner mixers worked. ok here's what it is,. 458.500 and 800 off all week until yesterday when they both returned, a lot weaker though..
so i'm guessing these are related to each other ? today 500 is a lot stronger than 800 and at this time they have both switched off again..
they come on and go off at different times too so not a harmonic being created from one frequency in to another as their patterns are different and backgrounds are different. i'm thinking, police camera vans ?? some sort of civil engineers with an on board repeater like the police's old 147mhz system ? and by the way 800 is back on now, 500 still nothing..
most listening is using a Kenwood TM-G707. using HDSDR for the spectrum display and band scan. also monitoring on a realistic 2006. 458.500 MHz - 458.950 MHz is allocated to Licence Exempt, Industrial/Commercial Telemetry and Tele-command and also Model Control. So data type noise on 458.500 and 458.700 is exactly what to expect there. 458.800 is as mentioned, New Simple UKG so it could be anyone due to the thousands of UKG users both authorised and unauthorised out there.